It seems that in Manhattan, a new tall, glassy building appears to be racing towards the sky every minute. While this isn’t exactly the case, the planning and production rate of these buildings does occur at a steady pace. Last Thursday, Elliman released their monthly rentals report, and as expected, rents increased across the board. Manhattan, Brooklyn, and Queens are seeing greater market competition for studios, one-, and two-bedrooms, which pushed rents higher. 2014's Highest Rent Markets: Where Does NYC Rank? Zillow calculated the average rents in the nation’s biggest metropolitan markets for 2014, and the NYC area doesn’t even rank in the highest five (pretty not bad for the country's most livable city). As has been reported previously, California rents topped the list, occupying four out of the top five spots. Curiously, San Francisco’s average ($1,598), which in previous months had beat out New York’s ($1,228), was actually the second highest — the region with the highest rents was actually San Jose, which was calculated to have an average monthly rent of $1,807. 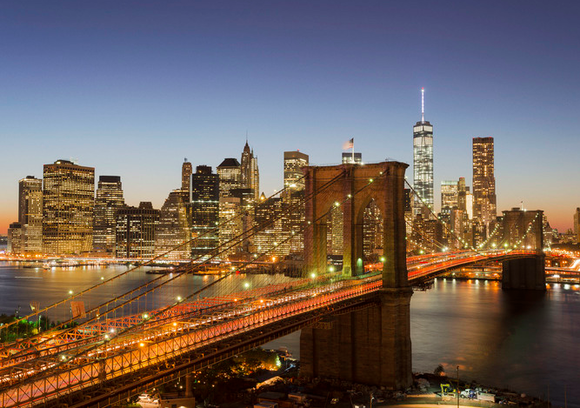 2014 has been a pretty solid year for New York’s rental markets. From neighborhood-boosting projects like the High Line to an increasingly impressive Billionaire's Row, the sector and overall industry have set some pretty high bars for 2015.